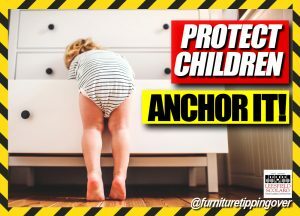 Protect children against furniture tipping-over. Anchor it! 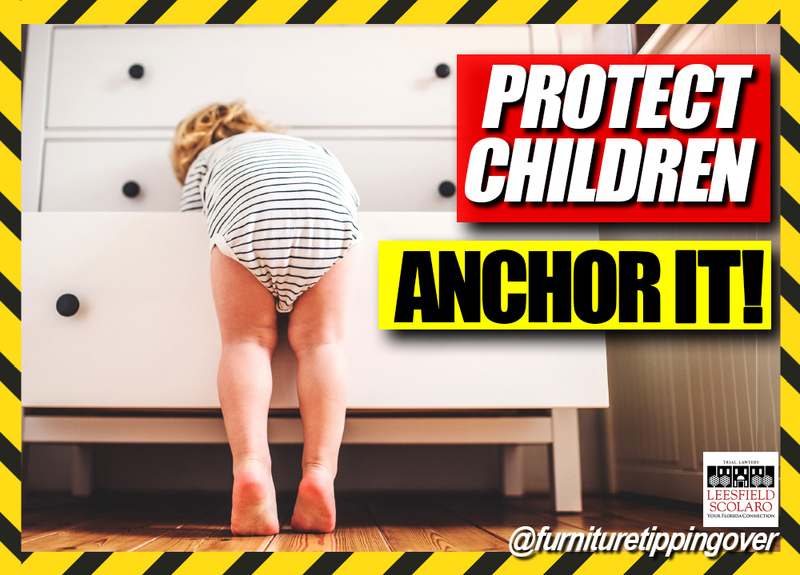 In the Spring of 2018, Leesfield Scolaro launched a new initiative to raise awareness of the dangers of furniture tipping-over on toddlers and young children. Following the settlement of a horrific wrongful death case against a furniture manufacturer on behalf of a mother who lost her child in a tip-over tragedy, the facebook page @FurnitureTippingOver was created. The new page provides statistics, helpful information and preventative ways parents can use to make their children’s environment safer. Launched this week, the new campaign “Protect Children – Anchor it!” reminds us all that every 17 minutes, a child is injured in a tip-over incident at home. Help us in raising awareness by reposting and by demanding that furniture manufacturers join us in making our homes safer.